Mayor Ras J. Baraka today signed two groundbreaking ordinances that make Newark a national leader in affordable housing. The “Inclusionary Zoning for Affordable Housing” ordinance requires developers to set aside 20 percent of their residential units for affordable housing in projects that consist of 30 or more new or substantially rehabilitated units. It is part of Newark’s attempt to prevent the kind of gentrification that has driven longtime residents out of Hoboken and Brooklyn. The ordinances mandate housing affordable to those in a different income levels ranging from 40 percent of the area’s median income to 80 percent. 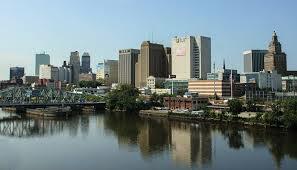 The marketing of the affordable units must give priority to Newark residents. Unlike New York City and other cities with inclusionary zoning, the Newark ordinance applies to all new residential development throughout the city, not just in designated areas. And, unlike other cities, the affordable units must be provided on site and not in other locations. Another innovation is that affordable units must be spread throughout a building and not clustered together. The second measure signed today is the innovation of ensuring that long term tax abatements for residential buildings only go to those containing affordable housing. The length of the abatement would depend upon the percentage of units that are affordable. For all buildings receiving long term abatements, including residential, the developer is required to partner with a Newark minority or female contractor, provide jobs to Newark residents and make a contribution to Newark’s Community School Trust Fund to help improve the quality of the city’s schools.